Source: Center for MB Studies, Fresno, CA. Allen Robert Guenther: scholar, professor, and churchman; born 13 September 1938 in Steinbach, Manitoba, Canada, the second of four children of John Guenther (5 April 1901, Steinbach, Manitoba – 3 January 2001, Abbotsford, British Columbia, Canada) and Anna (Braun) Guenther (4 December 1902, Gortschakovo, Ufa, Russia – 25 December 1980, Abbotsford, BC). On 16 August 1962 Allen married Anne Wall, whom he met at the Mennonite Brethren Bible College in Winnipeg. To this union were born three sons, Ron, Barry, and Michael. Allen died on 23 December 2009 in Reedley, California of complications brought on by Parkinson’s disease. The Guenther family relocated to Abbotsford, British Columba in 1946 when Allen was eight. Allen graduated from the Mennonite Educational Institute and Mennonite Brethren Bible Institute, both in Abbotsford, BC. He pursued his undergraduate studies at the University of British Columbia in Vancouver with the goal of preparing to be a medical missionary. However, his focus changed to teaching. He received his Th.B. from the Mennonite Brethren Bible College in Winnipeg, his B.A. from the University of British Columbia, an M.A. in New Testament from Wheaton Graduate School of Theology, an M. Div. from Gordon-Conwell Divinity School, an M.A. in Near Eastern Studies from the University of Toronto, and in 1978 his Ph.D. in Near Eastern Languages and Literature from the University of Toronto. As a scholar Guenther was involved in research and publication. His signature publication was a commentary on Hosea and Amos in the Believers Church Bible Commentary (BCBC) series (1998). For eight years, beginning in 1981, he was editor of Direction, an academic periodical published by North American Mennonite Brethren schools, to which he also contributed articles. Guenther contributed essays to other journals such as Tyndale Bulletin, Bulletin of Biblical Research, Conrad Grebel Review, and Journal for the Study of the Old Testament. 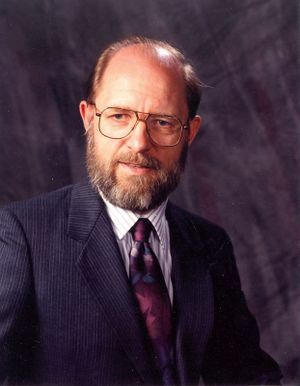 Allen was in his element when teaching, first at the Alberta Mennonite Brethren Bible Institute in Coaldale, Alberta (1962-1965), then at Mennonite Brethren Bible College and College of Arts in Winnipeg (1967-1970 and 1975-1981) and later at the Mennonite Brethren Biblical Seminary in Fresno, California beginning in 1981. He served as Professor of Old Testament there until 1998 when he took disability retirement and was given emeritus status. Guenther’s lectures, given with energy, passion and enthusiasm, were marked by clarity and creativity. He encouraged students to be judicious in forming their conclusions. He emphasized good process, and was skilled in navigating small group process. He was highly regarded, not only for his intellectual acumen and teaching skill but also for the personal interest he took in students with whom he would meet one-on-one in his office. After some reprieve from his disease due to deep brain stimulation in 2004, he was able to teach an occasional course, carry out directed studies, and mentor students. As a churchman Allen was committed to the local congregation wherever his family settled. He pastored Lethbridge Mission Church (now Lakeview Bible Church), a new congregation in Lethbridge, Alberta from 1963 to 1965, and Toronto Mennonite Brethren Church (later Yorkdale Community Church) in Toronto, Ontario (1971-1974). He was ordained to the ministry by the River East Mennonite Brethren Church in Winnipeg. Allen once co-led a group of college students on a tour of the Holy Land, Egypt and Greece. In 1980 he conducted a three-week Bible course in the Tulpengasse congregation in Vienna, Austria, where his wife, a professional librarian and always supportive, joined him. A third international ministry trip took him to Kiev, Ukraine. Allen was active for years in Fresno’s local reconciliation program (VORP). He was founder and president for ten years of Valley Parkinson’s Support Group which provided ample opportunity for him tactfully to witness to the strength available from God in such circumstances. Students as well as group members were inspired to see him deal with his disability. He often said, "When God hands you a lemon, make lemonade." As a hobby, he found pleasure in wood working, turning discarded pieces into beautiful bowls, pots or stools. GRANDMA (The Genealogical Registry and Database of Mennonite Ancestry) Database, 7.05 ed. Fresno, CA: " California Mennonite Historical Society, 2013: #108215. Martens, Elmer A. "Allen Guenther, the Scholar." Direction 35.1 (2006): 91–94. Martens, Elmer A. "Guenther, Allen R. (1938-2009)." Global Anabaptist Mennonite Encyclopedia Online. June 2014. Web. 25 Apr 2019. http://gameo.org/index.php?title=Guenther,_Allen_R._(1938-2009)&oldid=123393. Martens, Elmer A. (June 2014). Guenther, Allen R. (1938-2009). Global Anabaptist Mennonite Encyclopedia Online. Retrieved 25 April 2019, from http://gameo.org/index.php?title=Guenther,_Allen_R._(1938-2009)&oldid=123393. This page was last modified on 5 July 2014, at 04:24.